Win the English Premiership, French Ligue 1, German Bundesliga, Spanish La Liga and Italian Serie A in one career. Easy enough right? The Catch is I must do it whilst starting with the club predicted to finish bottom of each league for that season and turn them into conquerors over time. Should I take over a club mid-way through a season I will take the side who is bottom at the time. 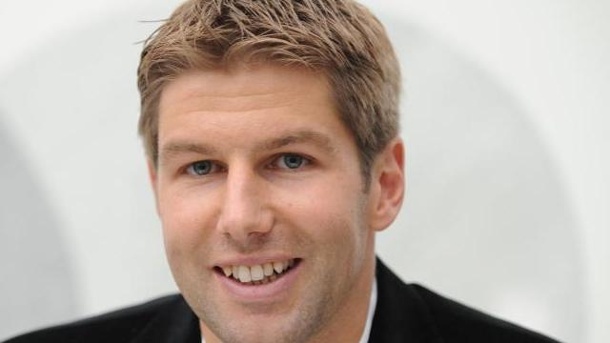 I have decided to take up this challenge as one of my former Villa favourites Thomas Hitzlsperger, Der Hammer lived on the next road down from me in the early 00's and I bumped into him on occasion, he seemed a very nice guy, a quality footballer and his German/Brummie accent was hilarious. Hitzlsperger started his career at Bayern Munich but never made the first team, he was then signed up by John Gregory at Villa where he spent five years, scoring eight goals in 99 league appearances in Birmingham before falling out of favour under David O'Leary. Hitzlsperger left Aston Villa as a fan favourite, and stated that he might return to the club when the opportunity comes. He gained the nickname Der Hammer during his time at Villa Park, due to his powerful left-foot shot from long-range. He returned to Germany in order to further his cause for inclusion in Germany's 2006 World cup squad, joining Stuttgart where he became a regular, particularly in his second season in which the team won the Bundesliga title. Hitzlsperger made a large contribution to their success, playing in 30 of the team's 34 league matches and scoring seven times. He scored a crucial equaliser in the 27th minute of Stuttgart's final match of the season against Cottbus, had Stuttgart lost that match, Schalke would have won the title. In the end, a 63rd minute goal by Sami Khadera secured the title for Stuttgart. Short spells with Lazio, Wolfsberg as well as a return to England with West Ham and Everton followed but injury plagued the midfielder, eventually forcing him to retire at the relatively young age of 31 in order to peruse a coaching career. 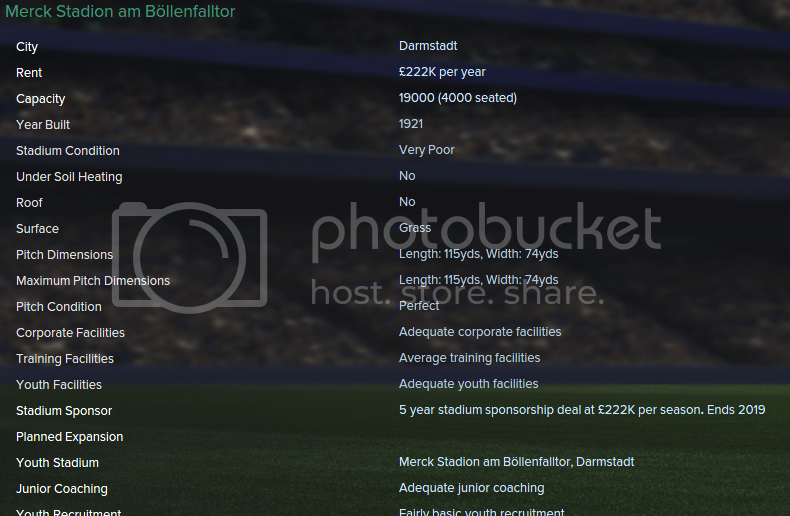 At this point we leave reality behind and delve into the world of FM, I have used the in game editor to set all my attributes the same as the real life Hitzlsperger in the default database who I have now overwritten with a fake name and all his attributes set to one. I know virtually nothing of this club or it's players so it will be a new experience and a learning curve. After a quick Wiki search I have been able to gather that Darmstadt is a city of 430,000 and is located just a short drive from the major city of Frankfurt. One of it's major claims to fame is the castle in which Mary Shelley wrote her classic novel Frankenstein in 1818. The football club was formed in 1898 but until now have only managed two seasons in the top flight (1978–79 and 1981–82) but were relegated both times. 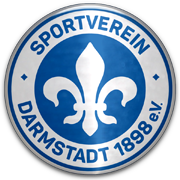 In 2008 Darmstadt, finding themselves in the fourth tier, entered insolvency proceedings with debts of around €1.1 million making the future of the club uncertain. SV took various measures to avert bankcruptcy, for example a friendly benefit match against Bayern Munich, donations and in addition the former management of the club (e.g. former president, former tax advisor) made vital financial contributions which secured the club's future. After winning the 2010–11 Regionalliga Süd in dramatic fashion, Darmstadt were promoted to the 3. Liga. In the 2012-13 season the club was initially relegated but their fiercest rivals Kickers Offenbach were refused a 3. 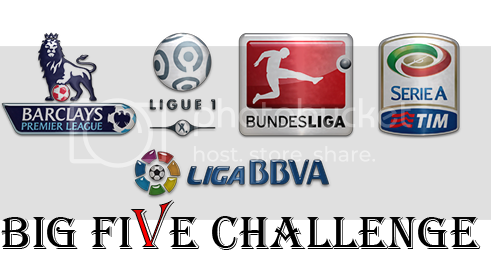 Liga licence due to going into administration and were relegated to the Regionalliga instead. SV Darmstadt 98 took Offenbach's place. In 2013-14 having finished third in league and thus gaining entry into the promotion-relegation play-off's, Darmstadt defeated Arminia Bielefeld in the second leg through away goals after losing 1-3 in the first leg at home to secure promotion to 2. 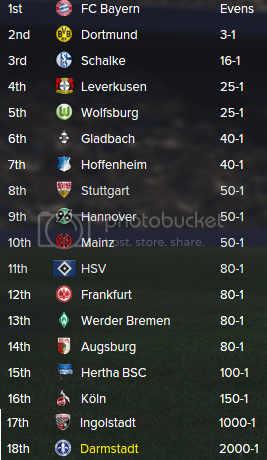 Bundesliga for the first time in 21 years in dramatic circumstances. In the following 2. Bundesliga season Darmstadt surprised everyone by winning back-to-back promotions, securing the 2nd spot in the league and securing promotion to the Bundesliga again after 33 years in their final league game against St. Pauli by winning 1-0 at home through a 70th minute free-kick by Tobias Kempe. As I mentioned in the previous post, Darmstadt were expected to struggle against relegation in 2.Bundesliga last season after promotion from 3.Liga but shocked everyone with a surprise second promotion. Unfortunately the quality of the players in the squad doesn't seem to have caught up with their new improved position. But the squad as a whole is frightfully weak and against opposition such as Bayern and Dortmund we could be obliterated. There is also a lack of cover in key areas with five positions lacking at least two players to fill them. To make matters worse there is not money to bring in new blood, although our balance should improve vastly over the course of the season given the increased revenues in the top flight so if we can avoid being cut adrift by the time the January transfer window opens I may be able to splash a bit more cash. Turning Darmstadt into Bundesliga will take years of hard work and may very well never happen at all, but to stand any chance at all we will need top quality training and youth facilities, something we do not have currently. Getting them improved will be a top priority as we look to establish ourselves within the Bundesliga. I have a feeling 2014/15 is going to be a very long and hard season for our supporters and may well ultimately result in an abrupt return to the second tier. However I can promise that my team will give it their all and fight tooth and nail to avoid finishing in the bottom two. My first competitive game is away to 3.Liga side Magdburg in the cup. We kick off our Bundesliga campaign at home to Hoffenheim before a trip to Hamburg the following week. Fans will be foaming at the mouth for our November clash with neighbours Frankfurt which is immediately followed by a trip to Bayern Munich.